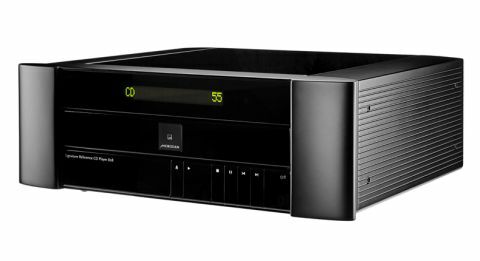 Meridian 808V6 Signature Reference CD player review | What Hi-Fi? It looks as if the days of the dedicated CD player are numbered. Most new disc-spinners tend to have digital inputs, allowing other sources access to their digital-to-analogue conversion circuitry. All very logical considering a CD player already has a DAC built-in and it’s likely to be a decent one if performance is a priority. Meridian’s 808V6 takes things a stage further, adding the functionality of a preamp into the mix. Use an 808V6 as source and all you need is a power amp and speakers to complete the system. You could minimise the box count even further by opting for active speakers instead. Meridian has concentrated on such speakers for years, and the approach makes sense – you have a minimum of boxes, less wiring mess and hopefully a great sound. The 808 was first introduced way back in 2001, but as the ‘V6’ suggests the engineers haven’t been sitting on their hands all these years. This latest version boasts improved DSP, DSD playback, an updated linear power supply and a new master clock. It’s a modular design, which makes upgrading easier as and when technical advances happen. It’s undeniably an impressive beast – glossy, bulky but also nicely finished – this Meridian, like many of the company’s products, has an aura of understated luxury. The effect is tarnished a little once you look underneath the front flap covering all the minor controls – the small, cheap-feeling plastic buttons have no place on a product of this price. The main control buttons – running along the lower edge of the front fascia – feel better, though. The 808’s transport is a multispeed CD ROM drive, much as you would find in a PC. It normally operates at standard CD speed, but is capable of faster, multiple reads to ensure an accurate recovery of data from, say, a scratched disc. It sounds clever, but the drive’s rickety tray doesn’t inspire confidence. Fortunately, that has little to do with how well the drive reads the data off the disc. Most people’s interaction with the 808 will be through Meridian’s MSR+ tabletop remote control. This is the latest generation of a design that the company has used for decades, and for the most part it works well. It has a generous operating range and big, well-spaced buttons, though using it is a two-handed affair. Individual keys can be swapped out easily, if necessary, which is a nice touch. The player’s connectivity is good. It has the usual trio of digital input options – USB, optical and coax – alongside a generous supply (six) of single-ended analogue connections. Optical is limited to 24-bit/96kHz signals, but both USB and coax accept 24-bit/192kHz sampling rates and DSD64. There’s also a balanced XLR output alongside a single-ended option for those that need it. The big news here though is the V6’s ability to decode MQA (Master Quality Authenticated) files, a Meridian-developed compression format that aims to deliver accurate sound while packaging hi-res music into about the same amount of space as conventional CD-spec (16-bit/44.1kHz) files. It also puts an emphasis on timing information, something Meridian says traditional digital techniques don’t. MQA-encoded software isn’t exactly in plentiful supply, but there are samples available online. Over time availability will increase. Delve into the 808’s set-up menus and you’ll find tone, phase and balance controls. The tone controls are subtle enough to be useful if a recording is poorly balanced. You can also change the phase of the player’s output, which can lead to improvements in sound quality depending on the rest of the system. MQA music files seems a good place to start, so we download Mozart’s Violin Concerto in D Minor and Britten’s Simple Symphony Op.4 onto our usual MacBook Air (loaded with Pure Music software) and start listening. We hear music, but oddly, the 808V6 doesn’t indicate that the file is in MQA. It turns out that Pure Music currently doesn’t pass through the MQA information unimpeded, so we load our laptop with Audirvana software and things work properly. Once up and running, the 808V6 is a fine sounding machine. Our initial impression is one of a refined, unflappable performer that delivers lots of insight. That impression sticks throughout the test period. It’s impossible to judge the absolute merits of MQA without comparing the sound to the same recording in other codecs, but what we can say is that both these recordings sound lovely. The Meridian’s presentation is bold, dynamic and has a wonderful sense of fluidity. Tonality is convincing, as is the sense of composure. Stereo imaging is expansive, stable and precise. Switching to the CD drive brings no surprises, and that’s a good thing. We listen to Stravinsky’s The Rite of Spring and the Meridian sounds right at home. It renders a large-scale sound of considerable authority. There’s a real sense of menace to the piece, with the 808 conveying strong dynamic contrasts and plenty of low-end weight. We’re impressed by the sense of organisation here, and the player’s ability to keep things under control even when the music becomes complex. This ability to sound unflustered is deeply impressive. Tonally, things are on the smooth side of neutral, the player seeming to round-off bite in exchange for its exceptional refinement. The result is a machine that you could listen to for hours on end without feeling fatigued. The downside to such an approach is a mild sense of restraint; the feeling that the player is either unable or unwilling to let this rather savage piece of music have free rein. The Meridian plays things a little safe, which may suit many listeners, but leaves us wanting just a touch more from it. While this character is more of an issue with harder-hitting rock and hip-hop tracks, it doesn’t stop us enjoying a range of albums from Kanye West’s Yeezus right the way through to the Rolling Stones’ Let It Bleed. There remains plenty to admire here from the impressive level of detail right the way through to the rich midrange that gives vocals presence. That good news continues through to the analogue line level inputs. Usually, such inputs rarely sound good on a predominantly digital product – they’re just not a design priority – but we’re pleased to find that isn’t the case here. The player’s presentation remains cultured and insightful. We’re equally impressed with the 808V6’s variable output. With products such as this we tend to recommend the use of a dedicated preamp despite the doubling up of volume handling ability. Not in this case. The 808 truly has a fine preamp section. While this Meridian’s civilising approach to music replay may not be totally to our tastes, it remains a really strong option. The 808V6 is insightful, refined and well equipped. If you’re after a high-end sound without all the fuss of lots of boxes and cables this is a terrific place to start.